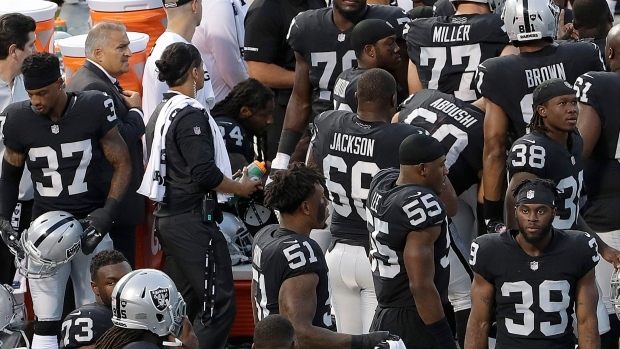 According NFL Insider Ian Rapaport, the Oakland Raiders are mulling playing a preseason game in Canada, possibly in Saskatchewan. One topic that is being kicked around here in AZ: The #Raiders are mulling playing a preseason game in Canada, I’m told. Possibly in Saskatchewan. Potentially, the #Rams in Hawaii, #Raiders in Canada. This would be the first time an NFL game is played in Canada since the Buffalo Bills took on the Atlanta Falcons in a regular season game at the Rogers Centre on Dec. 1, 2013. The Raiders finished fourth in the AFC West with a 4-12 record last season.